Experience a boost in performance with our drop-in Mazdaspeed turbocharger. It easily bolts in and replaces your undersized OEM turbo with NO mechanical modifications. The CorkSport turbo supports a range of 250-450* horsepower in your Mazdaspeed. 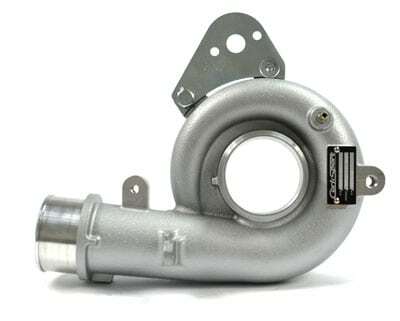 If your Mazdaspeed 3 or Mazdaspeed 6 turbo is worn out or is smoking, you need our turbo. Add the power without the hassle today! Check out our OEM comparison chart after the video for detailed specs! The turbo bolts in, but does require a re-tune of the factory ECU to operate safely (see the notes at the bottom of this page). Easiest installation on the market! Select our installation instructions below for a complete package list. Share your CorkSport experience in the Reviews section above! Customer-Focused Experience: It is ready for you and your ride. No modifications. No purchasing extra parts. And no hassles that come from other turbochargers available for Mazdaspeeds. Performance Billet Wheel Design: The CorkSport forged billet compressor wheel features extended tip technology that spools quicker and flows 15-20% more than a similar cast wheel. 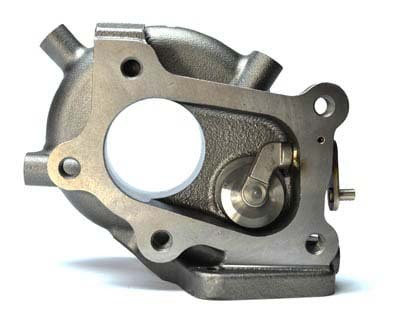 Cast Compressor Housing: CAD designed to allow the use of the OEM boost control solenoid and factory-sized intakes. Cast Turbine Housing: Housing is designed from scratch to maintain all OEM locations. Increased A/R for high RPM efficiency and a 12% larger wastegate port size to help with boost control. Manufactured from high silicon molybdenum for enhanced heat tolerance. 9-Blade Exhaust Wheel: A lighter, nine-blade wheel spools faster than traditional wheels. Made from Inconel, a nickel-chromium alloy known for heat tolerance, it handles the extra power and flow with ease. Performance CHRA: A triple-balanced center section. The turbine and compressor wheels are balance individually. Next, the assembly is rebalanced to improve the longevity of the CorkSport turbo. Adjustable Wastegate: A CAD designed wastegate allows for a perfect fit and an easy boost control. All Hardware Included: Don't spend hundreds of dollars on gaskets and studs when we include everything you need. Includes Restrictor Pill: Optimized for the CorkSport turbocharger, the restrictor pill allows you to run an EBCS (electronic boost control solenoid) interrupt mode setup without drilling. Want to learn even more about the precision engineering that went into the CorkSport Replacement Turbocharger? Click the button for our white paper below. Compatibility: Looking for the ultimate in performance? Pair your turbocharger with our innovative CorkSport Boost Control Solenoid. Designed in the USA: Engineered in Vancouver, Washington, in the Pacific Northwest. Proven Tech: CHRA is a MHI TD05H-18G. CorkSport service and support: Includes a 1-year/unlimited miles limited warranty, full color installation instructions, and all necessary components. We provide knowledgeable and friendly telephone support at 360-260-2675. *Our Mazdaspeed replacement turbocharger requires supporting parts, fueling and tuning to reach 250-450 horsepower. The CorkSport turbocharger does require the use of an aftermarket tune with Versatune or Cobb Accessport. Engine damage can occur without the proper tune and the installation of this turbo. It will take you 4 hours (240 minutes) to install your turbo with our instructions. I've had this turbo for close to a year (or whenever they introduced the version one's) and decided to come back and write a review. I love this freaking turbo so much. It spools so good and man that whistle puts a smile on my face every time. I was finally able to break my 400hp (hit 420) benchmark goal on 100% meth at 24 psi with the help of Will Dawson at Purple Drank. That's nuts to me. But this turbo, you won't be disappointed. First, although I'm giving five stars because the product is superb, I considered giving four due to the difficulty of the install, but decided it really wasn't fair to CorkSport. This is by far the best drop-in replacement turbo available for the MS3/6. And it IS drop-in. No modifications necessary. But the 4 hour install estimate is off by about 1000 percent, especially for a MS6 which has the transfer case in the way and has had 10 years to weld all the various fasteners in place by natural processes. ;-) And no, my car has never seen salt, it's just old. About 50% of the work is done completely blind and by feel. If you don't have a history of wrenching on things for years and don't have a great set of tools, beware. 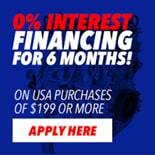 There is a lot of potential here for mushrooming and breaking nuts/bolts/studs and essentially totaling your car because the cost will be so high to enlist a mechanic or machine shop to fix your eff-up. I don't think I would have attempted this if I didn't have a friendly mechanic with a flatbed right down the street. None of this is CorkSport's fault and they provide excellent instructions and help over the phone if you need it. It took me and a buddy about 36 hours over three weekends to complete the removal and install. Patience, persistence, teamwork and a sense of humor are key. We didn't break anything and the process wasn't horrible, but there were are lot of "are you kidding me?" moments when we realized we had to work blind. 1) One of the bottom oil return flange bolts, although clearly visible, is next to impossible to remove. There is zero clearance. Try using a zero offset box end wrench. 2) If you can't remove the bolt securing the turbo to the turbo bracket, try removing the turbo with the bracket attached. It can be done and it's not that bad. It took me standing on a 3 foot breaker bar to remove it once it was out of the car. 3) Stubby combination wrenches and wobble extensions are your friends. OK, but what about the turbo after it's installed, you ask? For one thing, my exhaust no longer looks and smells like a BBQ run amok. My K04 was pouring a steady stream of oil into the hot side and the bearings had what seemed like 1/8" of lateral play. To be fair, this is partly a symptom of poor crankcase ventilation and oil control on the DISI motor, but less awful turbo bearings definitely help. I'm still in the middle of an e-tune, and will provide an update when it's done. But the CS turbo provides 20+lbs of boost quickly and without much effort. Even with a sissy tune, the car is really strong from 3000-6000rpm. It sounds great, too. Finally, as with all CorkSport products, this thing is so well made it makes me smile. One look at the stamped metal can that is the OEM wastegate actuator compared to CorkSport's machined aluminum one is pretty much representative of CS's philosophy. To summarize, I believe this is the best drop-in turbo replacement for the MS3/6 platform that isn't just a rebuilt K04. This is basically a "big or semi-big turbo" that bolts right up without modifications. Just be sure you understand what you're getting into before you start tearing things apart. Now that I've done it once, I could probably do it with a helper on a younger MS3 in under 8 hours. If you own an MS6, purchase a CS turbo and need help with the install, ask CS to ask me if it's OK to send you my email address. I'd be more than happy to assist via phone or email. There are a ton of resources out there for the MS3, not so much for the MS6. This turbo has transformed my car with the inclusion of the Corksport 3 inch intake. Went from 275 whp on the stock K04 to 350 whp and 350 torque at 22psi so my target of 24psi should be fun, this is on 99ron pump fuel with an e-tune from the master Justin (j-tune). Replaced my K04 with thisturbo and so far so good im on my second revision of my custom tune and its already way faster than my maxed out k04 tune. Pulls till redline, sound really nice and is a direct replacement. P.S. add 2 more hours to install time for MS6 owners because that car is just a cramped inconvenient nightmare to work on. CorkSport definitely did their homework with this one. Swapped the K04 for this with a built bottom end. This unit is more than enough to max the stock fuel system with internal. I ran 24lbs on E30 mix all day long. Logged 390 grams / second on the big end. Has excellent spool and flows until you want to shift. 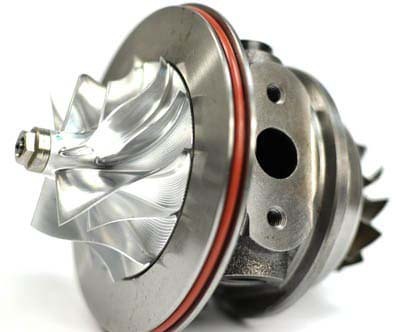 Very very smooth unit with highly responsive wastegate. Would recommend the other supporting mods to get max potential. The venerable TD05H CHRA paired with the 18g billet wheel and 9cm^2 hotside is a wonderful combo on the MZR. Very very happy with my decision. 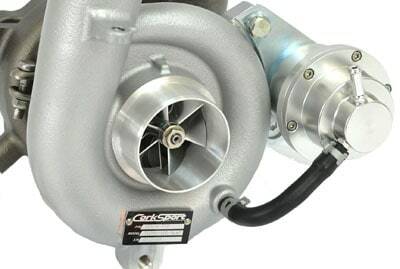 The Corksport turbo is a great replacement choice for your k04 if you have suffered from a smoky or blown turbo, or just want more reliable power. My turbos blades had been damaged and were making a screaming noise so I needed to replace that. Corksports turbo feels very much like the k04 but with more kick in the upper middle RPMs. On my fully bolted 2007 Speed3 I am pushing 23psi making 330whp and 350wtq on 94 pump gas. The turbo definitely has more to give and I can easily see it running more boost reliably. The instructions provided by CS are very detailed with great pictures, and are my go to source for anytime I need to take something apart on my car. I attempted the install myself but had to take the car to my mechanic as the downpipe I have (cpe) had gotten the best of me. This turbo was actually his second CS turbo install that week! So far I have put 2500km on the turbo and have had no issues. Of course that is not a long time for something to be on a car but it has definitely been an abusive 2500km. Thank you Corksport for the wonderful product and your great customer service! I needed to change a smoking stock turbo and decided on this bad boy. I honestly chose it because it was a direct replacement and the price was perfect. As others have stated, it spools for days and pulls like a pack of rabid dogs gunning for the finish line at the Iditarod. Had this installed and dyno'd. Gotta say it is a top notch turbo and turned my car into a beast. It spools a bit later than the ko4 but the spool doesn't stop. Plus it whistles like a diesels turbo when spooling. Well worth the money especially since it really does drop right in with out issues. Time for a rear motor mount to get rid of the added torque steer. Great turbo! The install was not difficult and I was not very mechanically inclined, I think changing breaks is more difficult. The turbo has a nice loud deep turbo noise and I cant get enough of it haha. It also makes the car move! I am currently running it at 21 psi and couldn't be happier the car is so quick I am very glad I went with corksport for the turbo. They are a great company and I had an issue with my points not going through but they fixed it right away. I would highly recommend this turbo to anyone looking to buy. My turbo died. My engine died also a few months ago and I rebuilt it on fully forged internals but in rest my only mods are COBB SRI and Hypertech and BPV. How will this work if I replace my busted turbo with this one? I need a direct replacement and didn't plan to buy the AP right now. Looking at the spec list you can tell Corksport did their homework for building the most optimized turbo for this platform. Once you unbox the prize you can see first hand the level of quality in the castings not found in even the big name turbos. The forged billet compressor wheel is a work of art, as is the billet wastegate actuator housing. It's almost too much of a masterpiece to hide deep inside an engine bay. Installation is about as easy as it can get for a big turbo install, having an included coolant line, new studs and nuts for both the manifold and downpipe, quality gaskets for both sides and provisions for all heat shields but one, which is recreated to work with the new setup. It even retains the factory oil lines and ebcs mount. But the real truth to its performance happens once it's bolted up and tuned. The only familiarity to any of my previous oil infested, self grenading k04s is that instant spool thanks to the high performance 9-blade turbine wheel. From that point forward it's everything you'd want it to be. The dyno graphs are about as perfect as you could ask for. Peak horsepower just before redline and a flat torque curve that brings a grin to your face driving the car at any throttle level. On just 92 octane I'm putting 350whp on my Genwon and the turbo isn't even breaking a sweat yet. I have far more room to grow with a built block and additional fueling if I ever go down that road. No more k04 flamethrower, no more power drop at 5500rpm. All smiles, all the time. This is the perfect turbo for this platform. This things spools up quick! Running 17 psi going to about 20psi and it pulls strong. And it’s a lot smoother than the stock k04. Overall I am very impressed with this turbo, not only does it look great but it performs amazingly! The install was very simple using the provided instructions from Corksport, after the install and the re-tune the performance of my car is night and day compared with the old Ko4. 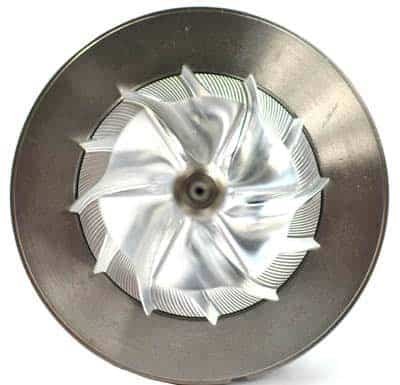 This turbo definitely out performs the BNR in many ways, first and foremost it flows more than the BNR, secondly the turbo comes with gaskets, studs, nuts, coolant line and a nice heat shield which the BNR does not come with for the same price. For me, choosing this turbo over the BNR was an easy choice and I am very pleased with it. Will this turbo work with the stock heat shields? Hi I have the HTC 3.5 intake with a 3.5"-3" coupler. Will that work with the turbo. Is your turbo inlet 3"? 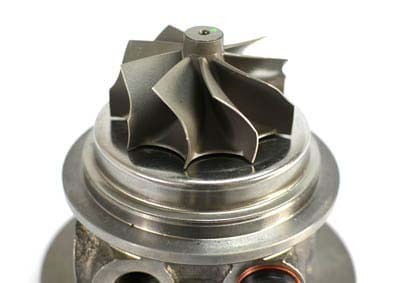 The turbo inlet on our drop in turbo is 2.25"
Sorry for the delayed reply. The Fuel pump internals are pretty much mandatory after a downpipe is installed and you start making more boost than factory. Regardless of geographic location. If not installed its risky. We rec, cobb tuning for our turbo as it needs a custom and specific tune for your car and the mods that are equipped. If you have more questions give us a call! Stock Turbo? As long as the tune is appropriate, and the wastegate is set up properly boost creep will not be an issue. I got some issue on my turbo so I want to go for this one. I have the Cobb ap and I know I need to do a e-tune for it after installing. But I am new to turbo thing, does this turbo need to break in after installation? And do I need to re-tune it after breaking in? You do not need to change the engine internals. 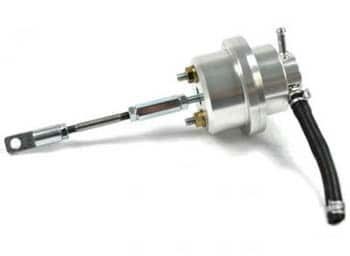 You do need an upgraded high pressure fuel pump internals which we offer and a tune with Versatuner or a accessport. Should I get the upgraded boost control solenoid when I buy this turbo? It is recommended. We have found the OEM solenoid cannot keep up on some installations. There is no difference, we want to make sure you have the needed supporting modifications so we ask people to select what they will be installing the turbo with. 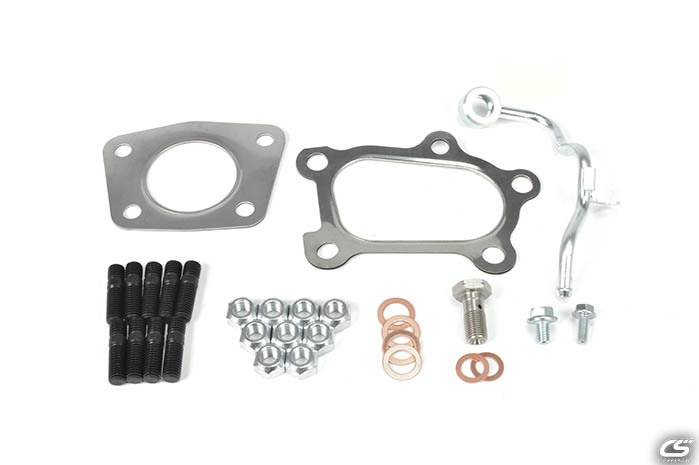 Does this kit come with new studs for reconnecting the downpipe to the turbo, or just the turbo to the manifold? The kit includes both the downpipe and manifold studs and nuts. How do you use the cobb accessport to tune the turbo? Yes you can or another good option is Versatune. Has anyone put an external wastegate on this turbo? I have seen a few EWG CS turbo's. Sounds really good. Does the turbo come with a new top heat sheild to replace the ugly stock heat shield? The turbo comes with a heat shield that covers the hot side. It does not replace the heat shield over the exhaust manifold. At what rpm does the turbo kick in and when it does is it smooth(gradual) or does it kick you back into the seat. Stock turbo can make full boost by 3400rpm. It will also fall flat on its face at 5800rpm. Do you only need a tune and upgraded fuel pump internals? No cylinders or block need to be upgraded? That is correct. You could install this on all stock supporting mods as long as you have fuel pump internals and an AccessPort. Do you provide a off the shelf tune for this turbo or is there an off the shelf tune provided by COBB for the AP for this turbo? No there is not. You will need to get a custom tune with this turbo. Will this turbo run reliably with stock internals? It will run reliably as long as you get a custom tune to make sure it is running a safe power level. So from what I can gather, to run this turbo I will need to upgrade my fuel pump and get the Cobb V3 Access port? Also will I need the fuel pump upgrade if I don't plan on running more boost? You will at least need the fuel pump internals with the AccessPort. Even though you are running the same boost psi, it is actually flowing more air due to the size of the turbo being larger. Just wondering if this turbo is clock-able to work with JBR/or such under routing FMIC? I have not talked to anyone who is running under routing piping with our turbo. The turbo fits in the engine bay exactly like the KO4, so if the JBR piping fits a KO4 then it will fit our turbo. There have been similar questions, but not this one exactly: On a stock Speed6, changing to this turbo, will there be power gains, or is it just for reliability/future upgrading? There will be power gains. However, on stock supporting mods it won't be a tremendous gain. You could see somewhere around 250whp with our turbo considering all else is stock. Just make sure you have fuel pump internals and an AccessPort first. My 2008 mazdaspeed3 is all stock. will this turbo be okay to put in my car? You would need to upgrade the fuel pump and get a tune at the minimum. I've bought and installed this turbo on my car. I'm in the process of getting it tuned too. I've noticed that I have not been hitting the tuner's target psi. During the install me and a buddy got confused on if we needed to keep the restictor pill if I was going to use the greddy ebc(running bleed setup) and decided to replace the hose with the pill. Is that why I'm not seeing what I should and if so, how do I get a replacement? Why implementation journal bearing into the construction instead of ball bearing? Cost was one of the factors. We could improve the responsiveness of the turbo with lighter components which reduce loads and get close to the performance of the ball bearing units without the costs. We have not run the turbo on a hypertech unit so we are unsure of the results, you would be the first. Make sure you have upgraded fuel pump internals before you try it and closely monitor the boost levels. If you added a turbo manifold and supporting parts you could fit it. We do not have dyno sheets with the ram air kit and the new turbo yet. Well i ended up buying it anyway i installed it and im almost done with the 91tune and then on to emix(being tuned by Marco @ pure performance). Do you want dynosheets? If I obtained the other parts needed, could I potentially use this turbo in a Mazda 3? Not the Mazdaspeed 3 just the regular Mazda 3, and if so would I need any other supporting modifications? You could use this with a Mazdaspeed 3 manifold. You would want to add fueling, ie upgraded pump, injectors, intercooler, bypass valve, etc. You would need a way to tune the car as well, Mazdaedit software would be an option with a tactrix cable. The EBCS can only be found under mazdaspeed 3 and not in the mazdaspeed 6 catalog. does this means that the mazdaspeed 6 doesnt require the CS EBCS? The CorkSport EBCS works with the Mazdaspeed 6 and is active in that section now. Does it need to be tune by a shop or can it just work with the cobb accessport? You can do either or both. If you are good with working in the ATR you can change the settings yourself. Do you do customer install and tuning at your shop? If yes, what is the cost on top of the turbo. We do not offer installations or tuning to the public. I am currently running a cobb tip/sri combo on my k04. Would this setup work with this new turbo? What else is recommended when installing this turbo? As in downpipe, hpfp, accessport, etc. You need at a minimum, upgraded HPFP and accessport. We do recommend a 3 bar map sensor if you are going to go above 20psi. A downpipe does make the installation easier. Do you have an estimate of added horsepower when added to a stock MS3? It really depends on your existing modifications you have done already. Over 30 would not be a problem with the supporting mods. I have the AccessPort already, running the stage 2 91 octane tune with stock exhaust and the Corksport SRI with TIP and upgraded HPFP. Is there a specific map to use with the addition of the new turbo? We recommend getting a custom tune, we will not be providing a specific map for the turbo. whats the max psi that this turbo can hold because i already have a corksport down pipe and from there to the back of the exhaust its a 3 inch straight pipe all the way back. i also installed an autotech internal fuel regulator flowing 50% more fuel and i have a cobb intake as well. on the tune im currently runnung im pushing just about 18-20 psi, or thats what my accessport says. im pretty sure that im right around 320 whp. if i buy this turbo how long would i have to break it in for as well(milage) thanks for your time. We can't give an exact Max PSI, just like people push the K04 beyond what the "max" PSI is supposed to be, we are sure ours will go past the "max" if done right. With that said we would not recommend running it past around 30 psi. On pump gas, most people won't push it past about 23psi. It should not require any "break-in", though we do have some recommendations for the first startup when you first install, take a look at the instructions. Was cost the reason for not going ball bearing? This kit is compatible with Mazda CX-7? We have not tested it in a CX-7 or tried to fit it, but it should have room since it is very similar in size to a K04. I see the EBCS mention in the listing. Is it required and should I get one? The OEM EBCS is a 2-port solenoid actuated valve that is sufficient for the OEM turbocharger. Being only a 2-port setup makes it cheap and easy to manufacturer; this is great for a manufacturer producing thousands of these cars. Also due to the 2-port design, the OEM EBCS can only run in “bleed” setup. Again, this is ok for the OEM turbo but still lacks some performance. The CS EBCS is a 3-port solenoid actuated valve that can be run in 2-port (bleed setup) or 3-port (interrupt setup), but the CS EBCS is more than just an extra port. It features a “bullet” style balanced valve that reacts in milliseconds and has a much larger piston (valve) allowing it to vent more air to and from the wastegate actuator giving you more precise control of the wastegate. Will this turbo smoke like the K04 turbo? What is different if it does not? The turbo will not smoke like the stock K04 turbo that is OEM equipment on your Mazdaspeed. We use a durable and proven Mitsubishi TD05 center section with out turbocharger which does not have the same design on the oil seals which are common to leak on the K04 turbo. What’s the difference between a Bolt-on and Drop-in turbo? A bolt in turbo will work with your stock exhaust manifold but may require changing your intake to a different size silicone connector or splicing together a coolant line due to a size difference in hoses. A drop in turbo is exactly that, drops right in, no extra parts required that are not supplied with the turbo. Can I run this turbo on my stock intake and exhaust? The Mazdaspeed turbo we offer is truly a drop in. It will work with the OEM parts your car was delivered with from Mazda including the intake and factory downpipe and exhaust system. Will I need any extra parts with the turbo to install it? The turbo includes everything for parts that are needed from gaskets, turbo studs, nuts, and installation instructions. Is a tune required with the installation of the turbo? This turbo will require a tune to use the turbo safely in your Mazdaspeed.